Last Chance to Receive FREE Shipping! 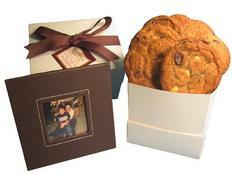 Make this Father's Day a memorable one with a delicious gift from Geoff & Drew's. Order by Wednesday June 15th 2:00 PM EST and receive FREE SHIPPING on a purchase of $24.00 or more. When checking out, simply enter code: DAD05 to receive FREE STANDARD SHIPPING. This offer applies to orders placed by Wednesday June 15th before 2:00 PM EST, which are guaranteed to arrive in time for Father's Day. Enjoy your free shipping and Happy Father's Day!